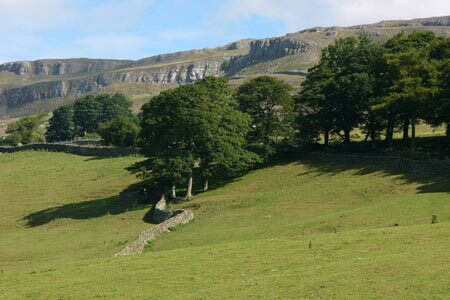 Wensleydale in the Yorksire Dales National Park offers some wonderful walking. This route takes in a stretch of the River Ure, passes historic Nappa Hall before traversing the slopes below Ellerkin Scar. The walk then visits Whitfield Gill Force before returning to Askrigg. A GPX File is available for download (see walk description).